Want to get your patio stain free for the spring and summer months? 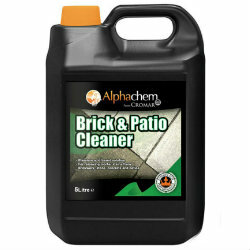 The patio cleaners we sell at Ashbrook Roofing will do just the job. Perfect for removing oil stains, grease, moss and lichen from concrete paths, tarmac drives and block paved areas. The cleaners have a fast-acting formulation that will leave your patio looking brand new. Order your patio cleaners securely online from Ashbrook Roofing. Place your order before 2pm and we’ll deliver your items the next day.